It’s not easy being green… but it sure is tasty! 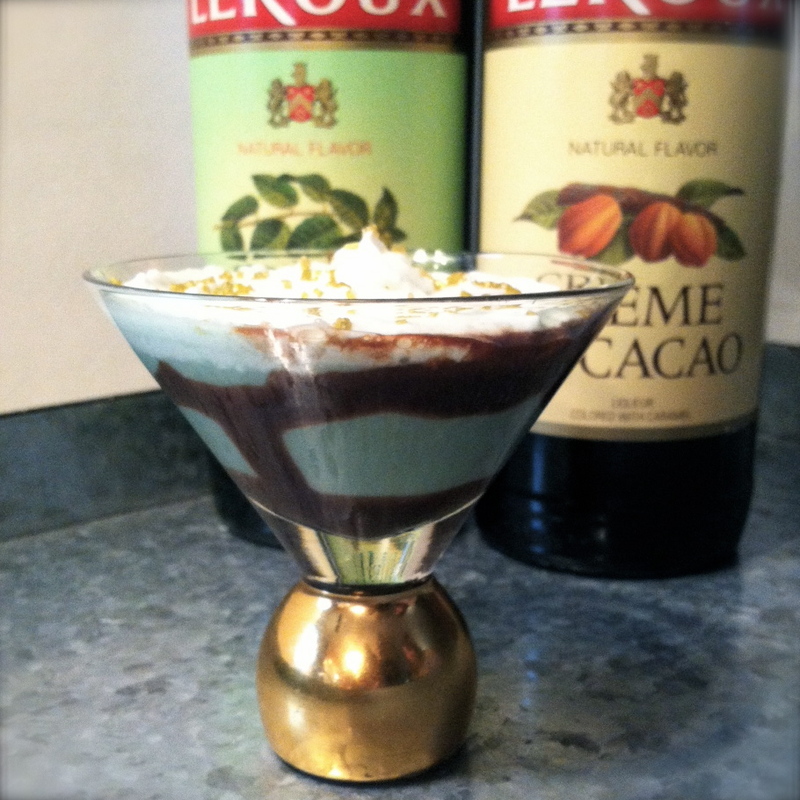 This St. Patrick’s Day enjoy the after dinner drink that is as much a dessert as it is cocktail. The Grasshopper (definitely NOT made of grasshoppers, or insects of any kind.) 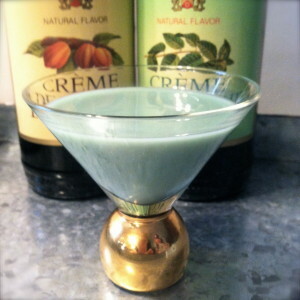 is a classic after dinner cocktail made of equal parts crème de menthe, cream de cacao and either heavy cream or vanilla ice cream. Think of it as a grown-up Shamrock Shake. 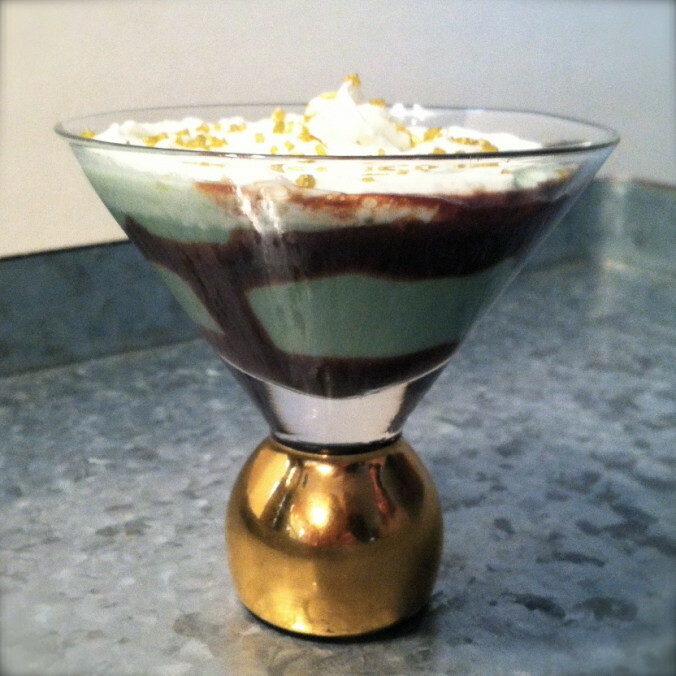 Optional: chocolate syrup, whipped cream, mint leaves or the garnish of your choice. Combine all ingredients in a cocktail shaker, fill half way with ice. Shake vigorously for about 30 seconds or so, until the drink is cold and frothy. Strain into 2 cocktail glasses. For a creamier and more shake-like version, swap out the cream for a few scoops of ice cream. We used about 3 scoops, but you could use more if you like. Combine all ingredients in a blender and blend for about 30 seconds or so until the ice cream incorporated. Easily Entertained Tip: Both versions can be served plain, or garnished any way you like. We garnished our cream version by swirling chocolate syrup into the bottom of our cocktail glass first before adding our grasshopper. We topped both versions with whipped cream and sprinkle of gold colored sugar.